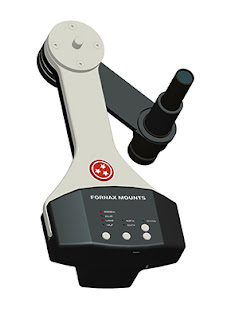 Learned of the Fornax Mounts LighTrack II. It is another entry in the portable tracking mount for cameras. Reminds me a mini-version of the AstroTrac, one of the first. Uses a friction drive. It supports up to 10 pounds. They claim an impressive peak-to-peak unguided tracking error of around 2 arcseconds in exposures of up to 6 minutes.